Marketing in today's digital age has become overwhelmingly complex, but it doesn't have to be. Success lies in stepping above of the clutter and understanding the new principles of digital marketing. 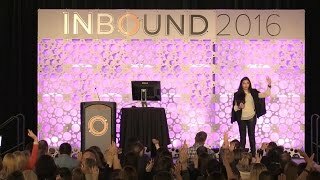 To this complicated and fast-moving world, bestselling author, renowned marketer, and award-winning entrepreneur Shama Hyder brings her uniquely Zen approach, separating out the critical from the trivial and the foundational rules from the ephemeral gimmicks. Offering five essential principles that crack the code on marketing successfully in today's ecosystem, Momentum: How to Propel Your Marketing and Transform Your Brand in the Digital Age will help you not only regain your sanity, but learn how to spot opportunities to grow your organization and brand in the midst of marketplace chaos. Before you invest in another marketing strategy, take a step back. Don't waste enormous amounts of time, energy, and money on the wrong strategies and approach for your customers, industry, and market. Whether you're a young business or an established company, let Momentum teach you how to thrive. Shama Hyder is a visionary strategist for the digital age, a web and TV personality, a bestselling author, and the award-winning CEO of The Marketing Zen Group – a global online marketing and digital PR company. She has aptly been dubbed the "Zen Master of Marketing" by Entrepreneur Magazine and the "Millennial Master of the Universe" by FastCompany.com. Under her leadership, The Marketing Zen Group has grown an average of 400% growth annually since 2009 to include a team of 30 and serve clients ranging from publicly-held Fortune 500 companies to privately-held small businesses and nonprofit organizations across the globe. Shama is the bestselling author of The Zen of Social Media Marketing, now in its 4th edition and Momentum: How to Propel Your Marketing and Transform Your Brand in the Digital Age, her latest book that launched in 2016. An acclaimed international keynote speaker, Shama has shared the speaking stage with the world's top leaders, including President Obama and the Dalai Lama. As a result of her success, Shama has been the recipient of numerous awards, including the prestigious Technology Titan Emerging Company CEO award. She was named one of the "Top 25 Entrepreneurs under 25" by Business Week in 2009, one of the "Top 30 Under 30" Entrepreneurs in America in 2014 by Inc. Magazine, and to the Forbes "30 Under 30" list of movers and shakers for 2015. LinkedIn named Hyder one of its "Top Voices" in Marketing & Social Media. Shama has also been honored at both the White House and The United Nations as one of the top 100 young entrepreneurs in the country. Most recently her web show Shama TV was awarded the Hermes Gold award for Educational Programming in Electronic Media. Companies are fiercely competing for millennial mindshare – and it's only the beginning. There are eighty million Millennials in America alone and they represent about a fourth of the entire population, with $200 billion in annual buying power. No generation has been as publicly reviled, praised, misunderstood, and analyzed as the Millennials – with good reason. By 2025, Millennials, also known as Gen Y, will make up the majority of the workforce and our potential customer based. Whether you are managing them, trying to sell to them, or being led by them, chances are good that you may be wondering how this generation really works and how they will impact your current marketing, sales and growth strategy. In this keynote, you will learn the strategies, approach and mindset you need to reach the millennial market. Whether you're a small business owner or part of a big brand, today's digital landscape is constantly changing, and news travels at the speed of a tweet. There is a cacophony of platforms, messages and choices, making it difficult to integrate your marketing efforts and produce results. How can you create the momentum necessary to stand out and compete in today's noisy marketplace? In this presentation, you'll learn the five principles you need to thrive in the Digital Age and how to consistently market and grow your organization in the face of unrelenting change. Social media is no longer an optional tool but an essential part of the way that entrepreneurs sell, engage, communicate and connect in the Digital Age. Whether your goal is to attract more customers, increase referrals or be recognized as an expert, your audience is expecting to find you on social media, so you must figure out the best ways to engage and communicate in this new ecosystem. Although you may be more comfortable with the primary social media tools – Facebook, LinkedIn, and Twitter – it can be overwhelming and frustrating to figure out the know the "HOW, WHEN, WHERE and WHY" in a way that aligns with your goals. As a result, you can easily waste time, energy and resources without anything to show for it. Whether you're a seasoned entrepreneur or small business owner just getting started, it's no secret that finding and keeping customers is more challenging than ever. After all, 92% of consumers (b2b and b2c) look online before making purchasing decisions. With seemingly endless options and an overload of information, how can you effectively attract and retain quality customers? This all translates into immense opportunity to increase visibility, attract more referrals, and grow your business – if you know how to pivot. As a result of this session, you will understand how to shift your selling strategy and mindset to meet customers where they are and deliver what they are wanting. From entrepreneurs to executives, today's leaders are being called to a new standard: the digital one. In order to reach customers, engage employees and influence stakeholders, leaders at all levels must learn how to swim the currents of the digital landscape and assert their influence through new channels. This is easier said that done. After all, how do business owners and leaders know which technologies to use to connect more deeply with their audience, grow their brand and create a greater impact? Rather than running from technology, leaders can embrace this brave new world and learn to leverage technology to engage, influence, sell and lead. As a result of this presentation, you will understand why and how to build a digital footprint in today's world and increase your leadership impact.